There used to be a putting green directly across the street from the front entrance to the Stanley Park Pitch & Putt golf course, but it was not open (i.e. mowed and set up) in the last few years. 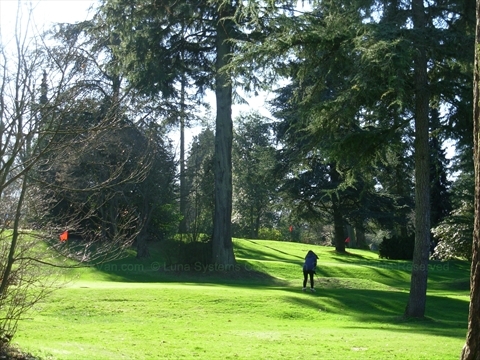 The Stanley Park pitch and putt golf course is located next to the Fish House restaurant, Ceperley Meadow, and the Ted and Mary Grieg Rhododendron Garden. This is near the Beach Avenue entrance to Stanley Park.